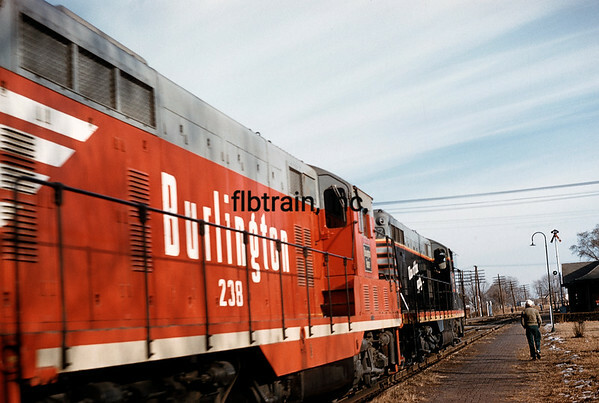 Burlington Route eastbound local approaches the station in Mount Pleasant, IA where it will get the switch list for pickups at the grain elevators on the east side of town. 12/1/1959. Photo by John J. Becht.